Atletico Madrid's move for Chelsea striker Alvaro Morata has hit a snag, with the Spanish outfit unwilling to buy him outright, either in January or at the end of the season. Morata has been linked with a myriad of teams this January, following his displacement from the starting XI, and occasionally the match day squad, with Maurizio Sarri deploying Eden Hazard in the false nine role, and Olivier Giroud chosen over Morata for the subs bench in last Saturday's clash with Newcastle. Alongside Barcelona and Sevilla, Atletico were seen as one of the frontrunners for the Spaniard's signature, but this latest setback could put them out of the race. According to the Daily Mail, Diego Simeone's side have not succumbed to Chelsea's demands for a permanent transfer in this window, nor the alternative of having an obligatory pay option inserted in a loan deal. Atletico's uncertainty has come in the midst of a similar backtracking from Sevilla, with club president Jose Castro confirming the Andalusians have given up on signing the forward. “We spoke with ​Morata and his agent, there was a lot of desire for him to join Sevilla. 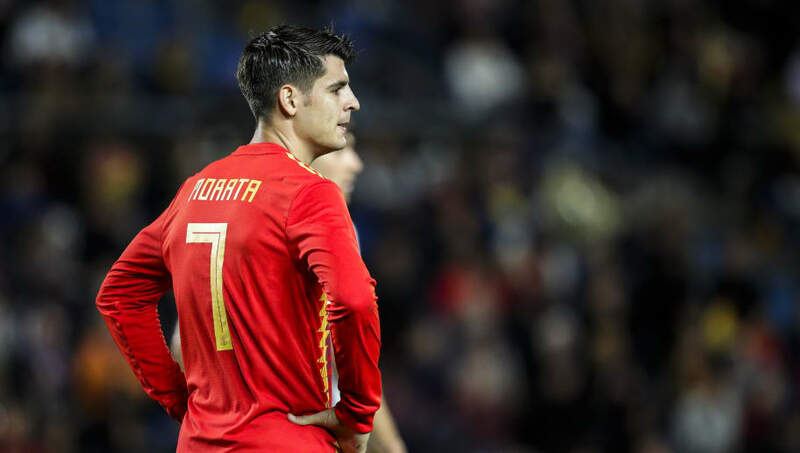 However, there are many powerful clubs who have more financial muscle than Sevilla who have shown an interest, so the option of Morata is no longer a possibility." Gelson Martins and Nikola Kalinic - ​La Blaugrana are in the market for forward replacements following Sevilla's capture of Munir El Haddadi. And, at the player's unveiling, Sevilla's director of football Joaquin Caparros spoke in the same vein as Castro, proclaiming: “Morata wanted to come here, but when the talk moved to money we realised it was impossible. “We are happy with who we have and especially the addition of Munir El Haddadi."